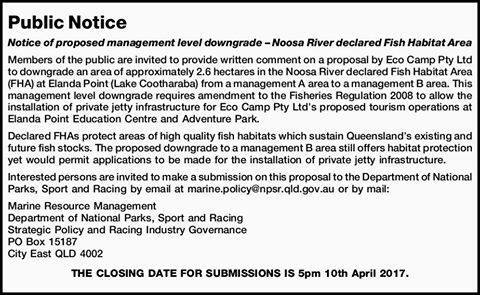 A proposal has been put forward to the Department of National Parks, Sport and Racing by Eco Camp Pty Ltd (Discovery Group) to downgrade 2.6 hectares in the Noosa River Declared Fish Habitat Area at Elanda Point (see Map 2) from a management A to a managment B Fish Habitat Area so they can build a 70m private jetty out into the tranquil, natural beauty of Lake Cootharaba with its rich, aquatic biodiversity. This infrastructure is part of a larger proposal by the proponent for the much loved camping area and surrounds. 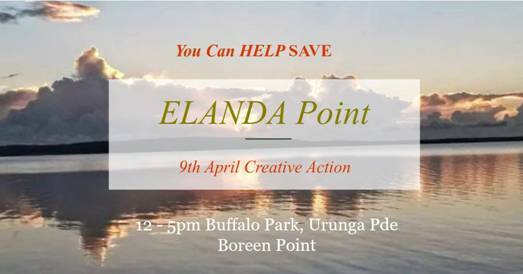 Be part of a creative action for Elanda Point by bringing your art, voice, performance and expression to create, share, write and document your love of Elanda Point, Lake Cootharaba and natural places. 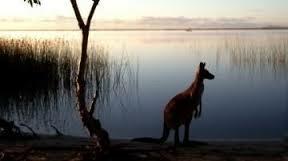 Anyone with access to a kayak or non-motorised craft is also invited to paddle the adjacent waters. So, if you're a kayaker, a SUP'per or any other type of paddler, please be part of a Flotilla at 3pm. What is a Declared Fish Habitat Area? A declared fish habitat area (FHA) is an area protected against physical disturbance from coastal development, while still allowing legal fishing. Queensland's FHA network ensures fishing for the future by protecting all inshore and estuarine fish habitats (e.g. vegetation, sand bars and rocky headlands) contained within declared FHAs, which play the key role of sustaining local and regional fisheries. See more about the importance of Fish Habitat Areas here. 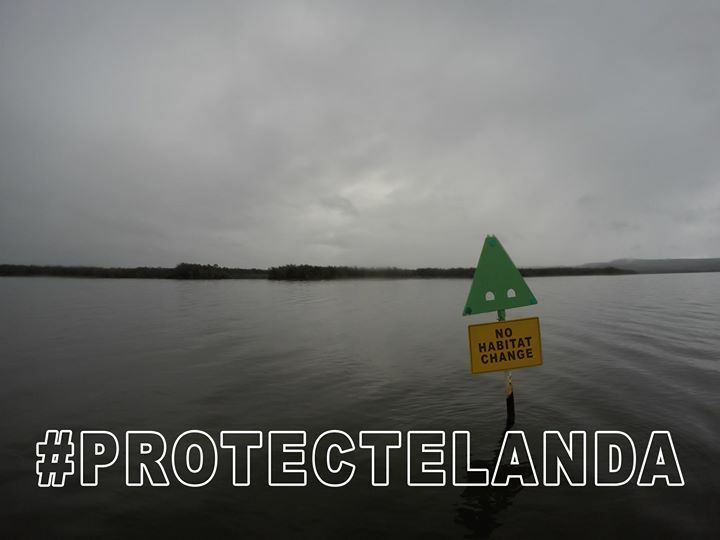 There is good reason why Noosa River has 5,974 ha declared as management A, which naturally includes Elanda Point, and 100 ha as management B.